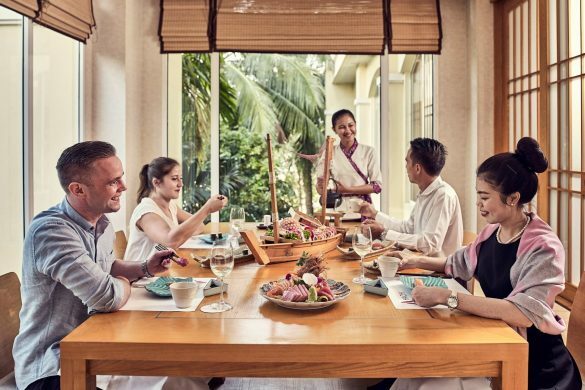 When considering where to eat, the Sofitel has a choice of some of the best restaurants Phnom Penh has to offer, in which your most difficult decision is which one to select. Enjoy breakfast, lunch or dinner at La Coupole, with its live cooking stations, Champagne brunches and fabulous international buffets. 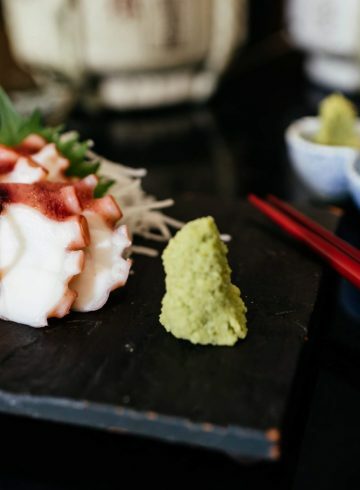 Exquisite Japanese dining is to be had at Hachi, with the freshest sushi and sashimi amongst the delights on offer. 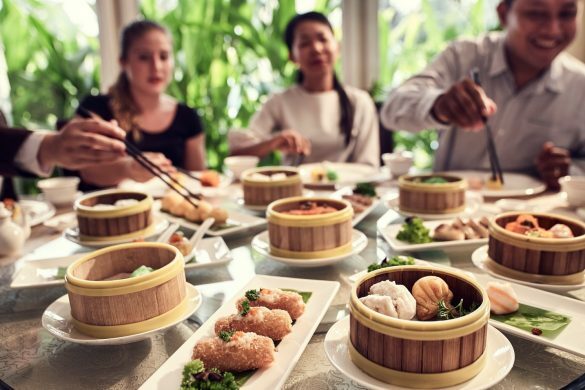 Chinese regional delicacies, including dim sum, are served in the elegant surroundings of Fu Lu Zu. Do Forni has an intimate setting with an open kitchen that serves authentic Italian cuisine. Guests with a sweet tooth will meanwhile find Chocolat a wonderful venue to stop by for a cup of fine coffee or tea. 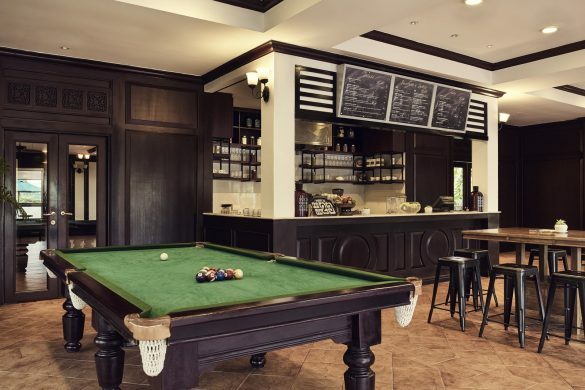 Our cosy Le Bar is one of the best bars in Phnom Penh, our Aqua and Sports Baris for drinks and light bites poolside, and for our Club and Suite guests, the Club Millesime Lounge offers a panoramic view of the city, making it one of the most exclusive Phnom Penh bars. Savour some of the choicest international cuisine at one of the best restaurants in Phnom Penh. Inspired by the emblematic Parisian Brasserie La Coupole, our stunning wood panelled and high ceiling restaurant is the perfect place to indulge with friends and family. La Coupole offers an unmatched selection of culinary artistry accompanied by a large collection of fine wine and champagne. Overlooking the swimming pool, the restaurant is a relaxing place by day and by evening. The show kitchen and the live cooking stations create a gently bustling atmosphere where you can enjoy a barbecue, seafood buffet, Sunday brunch with free-flowing champagne, or whatever else is your desire. More than 100 wine labels are on offer for you to toast your stay in this beautiful city. The restaurant also features live band entertainment to accompany your meal. Do Forni is the best-known Italian restaurant in Phom Penh. The restaurant has an intimate setting with an open kitchen and wooden floor, and is ideal for romantic dining, business entertaining, and groups of friends enjoying their holiday. 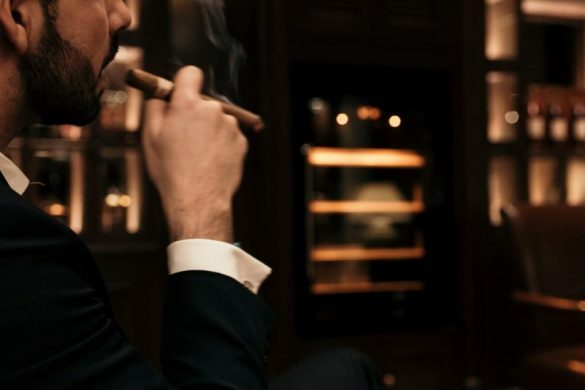 Under Italian consultant chef Fabrizio Aceti, dishes are freshly prepared and combine the traditional with the innovative when it comes to style. Authentic Italian ambience dishes are prepared with the freshest of ingredients. Choose from a specially crafted menu that offers contemporary and innovative cuisine from the regions of Italy. Here you can enjoye freshly made pasta, with a variety of pasta styles served with chef’s own sauces and tantalising ingredients such as blue river prawns, Parma ham, and Canadian lobster. Meanwhile, the pizza is arguably the best pizza in Phnom Penh. As befits one of the best restaurants in Phnom Penh, Do Forni serves hearty oven-baked pizzas with creative toppings such as foie gras and mixed seafood, along with other specialities like homemade potato gnocchi and translucent slices of salmon carpaccio. 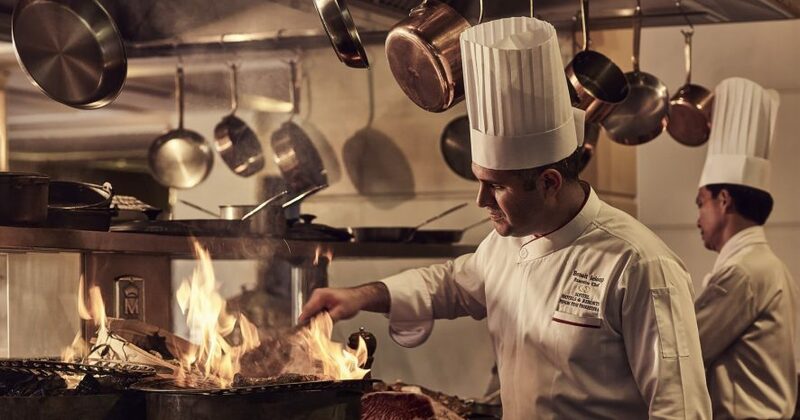 Special guest chefs visit the restaurant every quarter for a memorable gastronomic journey. 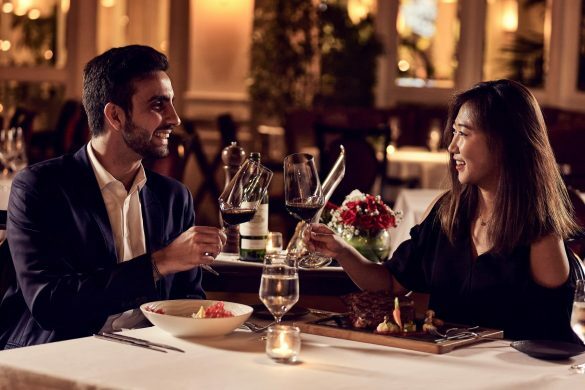 No Phnom Penh restaurant is complete without some alcoholic beverages and Do Forni offers a selection of more than 60 fine Italian wines from the cellar to raise your dining experience, whatever the occasion. Hachi is the Phnom Penh Japanese restaurant that is everyone’s favourite. 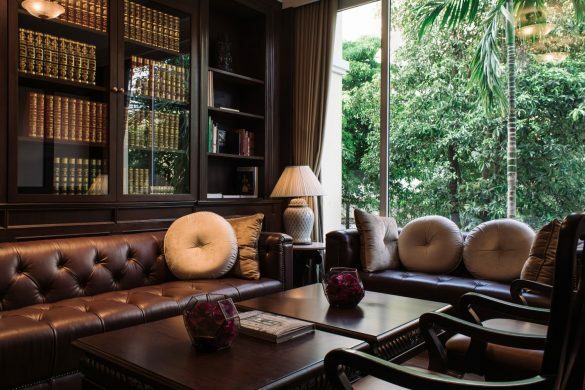 Offering a relaxing atmosphere, the décor is inspired by Japanese tradition. On the black granite sushi bar, our Japanese chef Katayama Yasuhiro prepares the guests’ favourite selection of sushi and sashimi with fish imported daily from Japan. The menu includes a large variety of delicacies including Kobe beef, black pork steak, grilled yellow tail, bento boxes, tempura and robatayaki, along with a selection of quality teas. Guests will also have the chance to try one Japan’s greatest delicacies, the notorious Fugu fish dish, which chefs have to undergo rigorous training in order to prepare. Hachi also has one of the largest selections of sake in Phnom Penh, with 26 varieties available. Diners can be assured of the authenticity of the food, as Chef Katayama hails from Japan. 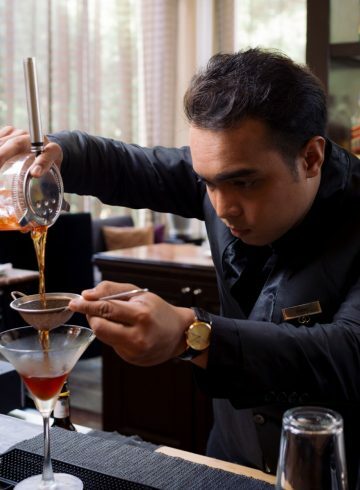 Professionally, he comes from an international background and has worked in several hotels around the world before coming to Phnom Penh. Ask for his special menu, a refined seven-course dinner for the ultimate Japanese experience. Private tatami rooms are available. Hachi, one of Phnom Penh’s top restaurants, is open every day for lunch and dinner. On Saturdays, guests can indulge in a Sushi Buffet from 11:30am to 2:30pm. Fu Lu Zu is an elegant Phnom Penh Chinese restaurant specialising both in regional Sichuan delicacies and also in freshly made dim sum. 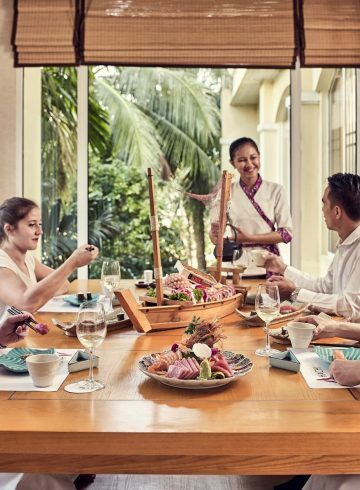 Highly popular with local residents as well as visitors, Fu Lu Zu is regarded as one of Phnom Penh’s best restaurants for family celebrations and business dining. 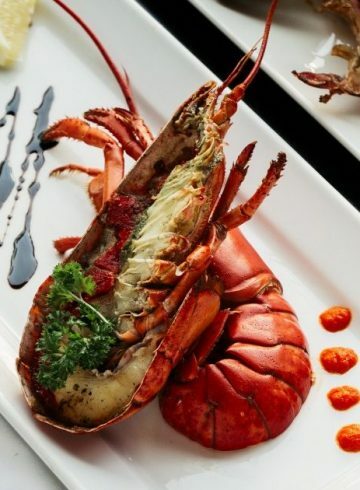 Our menu includes an abundant array of meals with live lobsters and crab, and with bird nest, Chinese BBQ, and special Sichuan dishes. The perennial favourite of Peking duck is served here, delicately carved in the traditional way and served with paper-thin pancakes. By mixing present-day and classical decor, the restaurant creates an intense atmosphere halfway between Taoist balanced spirit and Hong Kong effervescence. Private rooms are available for small group events and business meetings. 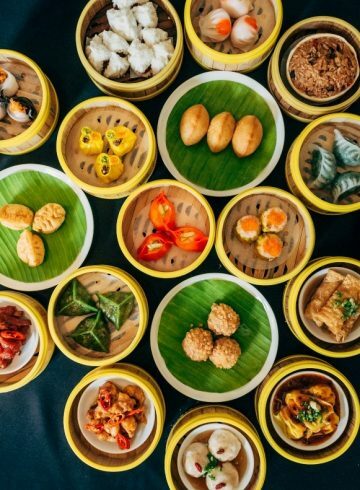 Dim sum lovers will love the Dim Sum Buffet, available every week day from 11:30am to 2:30pm and weekend from 10:30am to 2:30pm.